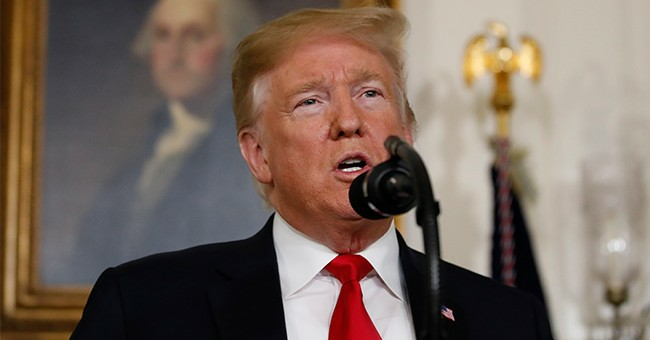 President Trump has reached the midpoint of his first term in office, as many critics are saying his economic policies are a failure. From Nobel Prize winning economists like Paul Krugman to noted Wall Street investment firms like Merrill Lynch and Goldman Sachs, their conclusions say that Trump’s policies are not working. Their conclusions, however, seem to be biased and incorrect. In his most recent column in the New York Times, Krugman notes that Trump’s policies, like President Reagan’s policies, did not perform the way they were intended. Both Merrill Lynch and Goldman Sachs say the tax cut did not lead to a business investment boom. Krugman says Trump’s failed policies are why his approval ratings are so low. Trump’s critics further argue that corporations used much of their tax breaks to buy back some shares of stock and to increase dividends, rather than increasing investments. Goldman Sachs estimated stock buybacks and increased dividends totaled $1 trillion in 2018, indicating that firms are not increasing investment with the funds from the tax cut. The criticism of Trump’s economic policies seem unwarranted. Trump promised that the tax cut would increase economic growth and it has. Prior to Trump’s election, the US averaged about 2% annual economic growth since 2006. In 2018, the first year of the tax cut, economic growth will be about 3.3%. That means annual economic growth was more than 60% higher in 2018 than it was annually in the last decade. That was the primary goal of the tax cut. Annual growth hadn’t exceeded 3% since 2005 and annual growth hadn’t exceeded 4% since 2000. That’s the longest period of economic stagnation in US history. The tax cut produced positive results in 2018 and the future looks brighter in spite of the headwinds. The purpose of the carefully crafted tax cut was to increase economic growth by reducing taxes for all income earners and all corporations. The lower tax rate for the majority of tax payers would increase disposable income and stimulate total demand. The lower tax rate for corporations and high income earners would increase capital formation so that total supply could increase to meet the new demand without causing prices to rise. The result was increased economic growth with little or no inflation. The tax cut worked perfectly. But what about the claim that $1 trillion didn’t go to increasing business investment but rather went to increasing dividends and stock buybacks? That claim misses the total effect of the corporate tax cut, which was to increase capital formation. And the tax cut did just that, no matter where the capital is invested. For instance, when corporate tax rates were lowered from 35% to 21% as a result of the new tax law, corporate profit increased substantially. Trump said most of these new funds would go to business investment. But suppose the stockholders saw better investment opportunities outside of the corporation? Some stockholders would then want to take the capital out and invest elsewhere. Stock buybacks and increased dividends mean that stockholders wanted some of their capital back to invest elsewhere. No matter if the capital is invested by the corporation who got a tax cut or whether the corporation returns the capital directly to stockholders to invest elsewhere, the effect is the same: new capital is created by cutting taxes for corporations and for high income earners. Since the US has a capital intensive economy, increased capital formation will lead to increased economic growth. Business investment increased by 9% in the first half of 2018. It did slow in the second half of 2018, but still the increase in investment will lead to more growth in the future. Krugman, like many other economists, expect a “lack of strong economic upside over the next two years.” He further notes that with Trump’s “extreme current unpopularity ….his chances for re-election don’t look too good.” Perhaps that view explains why Krugman’s analysis of Trump’s policies are so biased and simply not correct. For 2019, GDP growth will likely be higher than the 3.3% growth in 2018, perhaps approaching 4%. In 2020, growth could be still higher. That’s simply because more Americans are working, receiving higher wages and finding new opportunities. Corporations have more capital to meet the increase in demand from consumers. The result will be more growth. The higher rate of economic growth is welcomed, especially today when Americans have simply forgotten what true economic prosperity feels like. Starting with Trump’s implementation of his economic policies, things are changing. Americans are about to feel real economic prosperity.